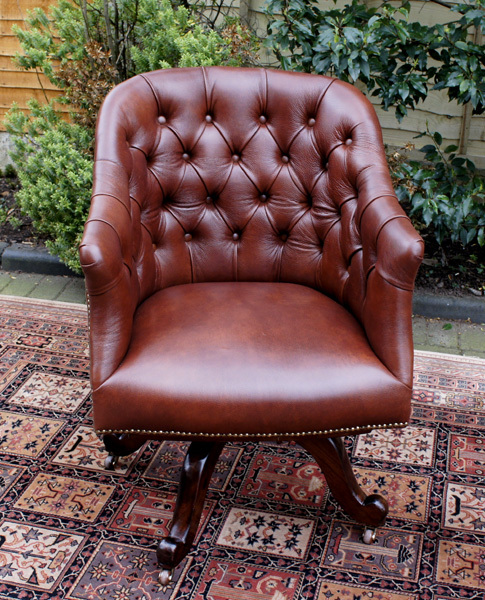 Constructed in the late 19th century, this very attractive swivel seat desk chair has recently benefitted from restoration. 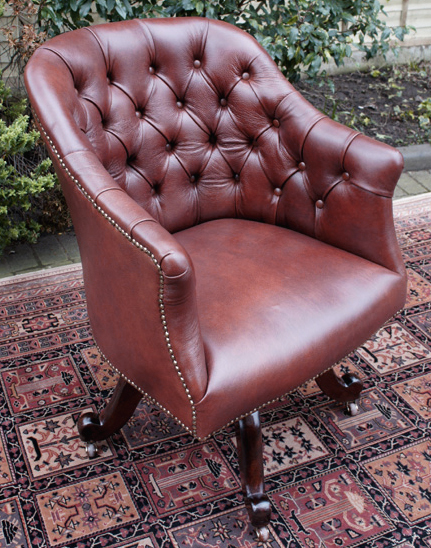 It has recently been re-upholstered in a good quality tan hide with deep buttoning and a sprung seat. 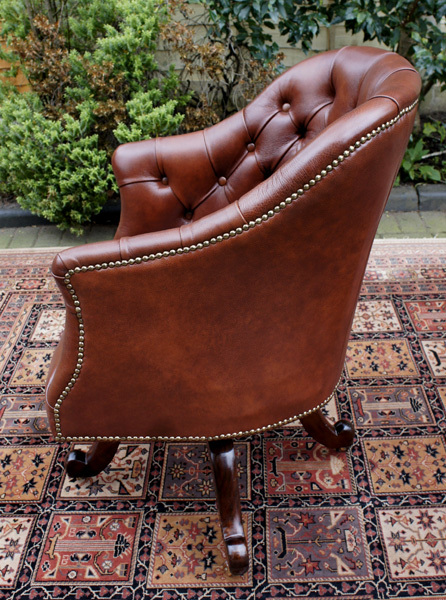 Constructed in the late 19th century, this very attractive swivel seat desk chair has recently benefitted from restoration. and the seat back and sides have a brass studded edge. which is in good order and moves easily and would easily accommodate a larger sized person.